As we already know, we have to take care of our bodies differently as they age, paying close attention to different aspects of our health with a keen eye. This can seem overwhelming, but who says 50 has to be a pain? As women, it is important for us to prioritize our health in specific areas like hormone and joint health, among many others, to ensure a happy and healthy body over 50. And what's more, we want to do this in a natural way so that we can promote holistic health before developing any long-term issues. 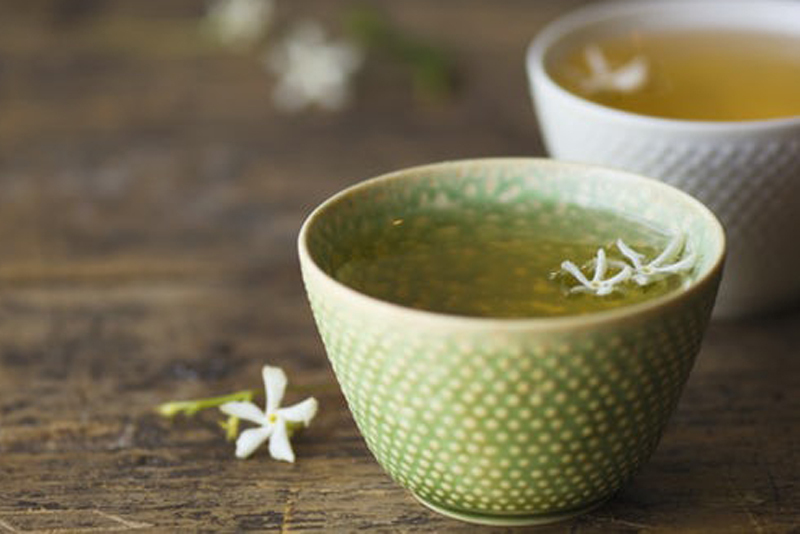 Incorporating teas into one's diet is a practice that has been used by different cultures through the centuries to promote overall balance and well-being in the body. With this in mind, Woman's World teamed up with herbalist Marlene Adelmann, who founded an international school for herbal arts and sciences called the Herbal Academy. Through her business, Adelmann has brought the wild and wonderful world of herbalism to 25,000 students across the globe. 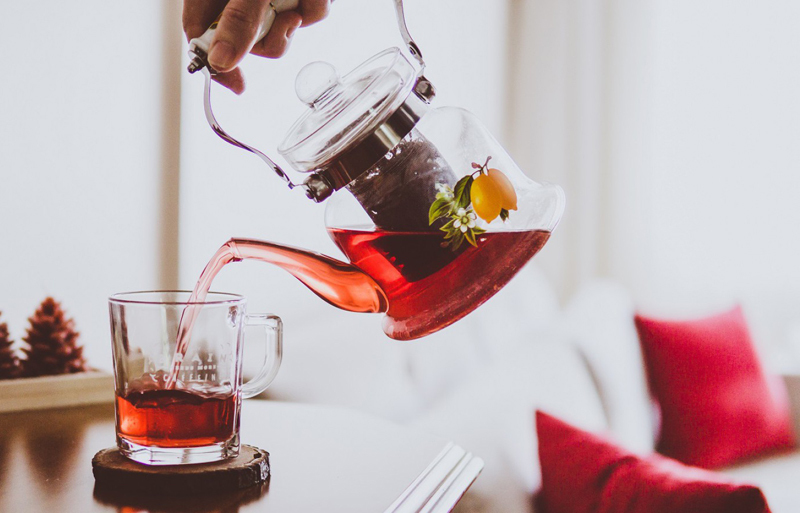 Together we’ve come up with a list of the best teas that you can start incorporating into your daily routine to help nourish and promote the best you at 50 and beyond. Joint and bone health become increasingly important as we age, and deteriorating health in these areas can cause a lot of pain. Chronic pain is a condition that affects a growing percentage of the population, with arthritis also becoming a concern for women over 50. With the help of a few teas, though, you can kick that chronic pain to the curb. 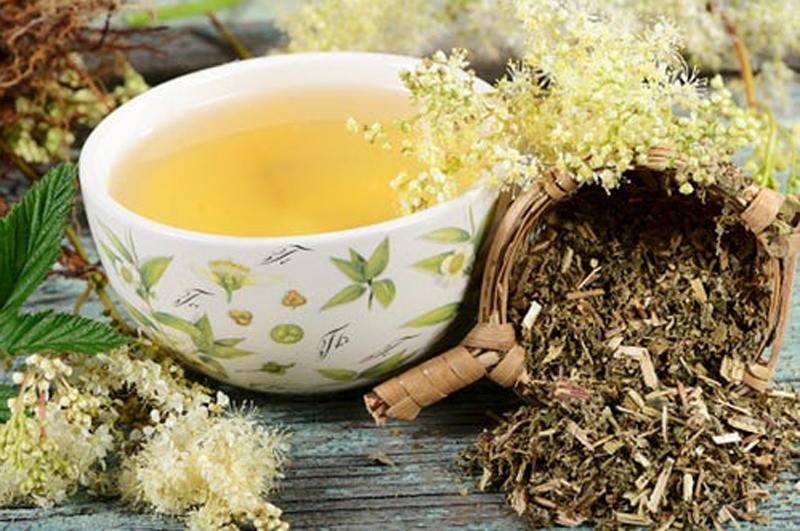 Meadowsweet, commonly touted as “nature’s aspirin,” is a great herb that can be made into a tea to help reduce pain and inflammation in the joints and other areas of the body. According to Adelmann, meadowsweet "contains aspirin-like chemicals called salicylates, which work to ease aches and pains in the body. Many herbalists use meadowsweet specifically for arthritis and joint pain. This may be because in addition to its anti-inflammatory character, meadowsweet’s salicylic glycosides contribute to its action as a diuretic, which may help to remove uric acid from the system." 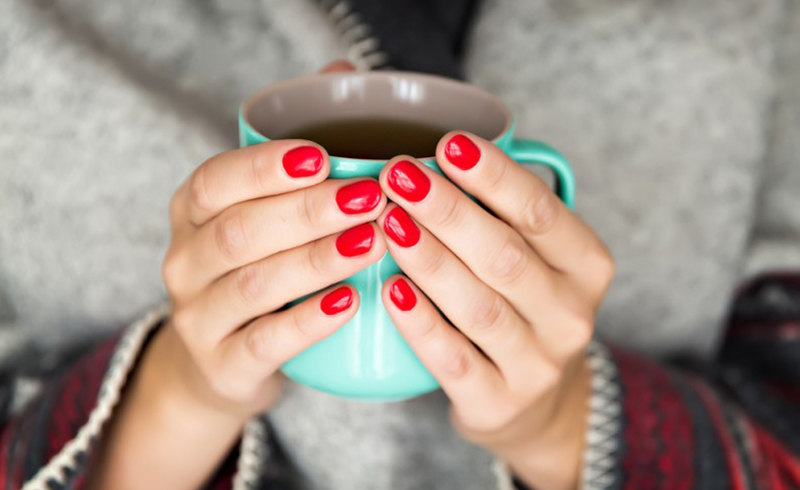 If you’re having trouble with anxiety, a relaxing herbal tea could be just what you need to calm those nerves and even help promote deep, restful sleep. 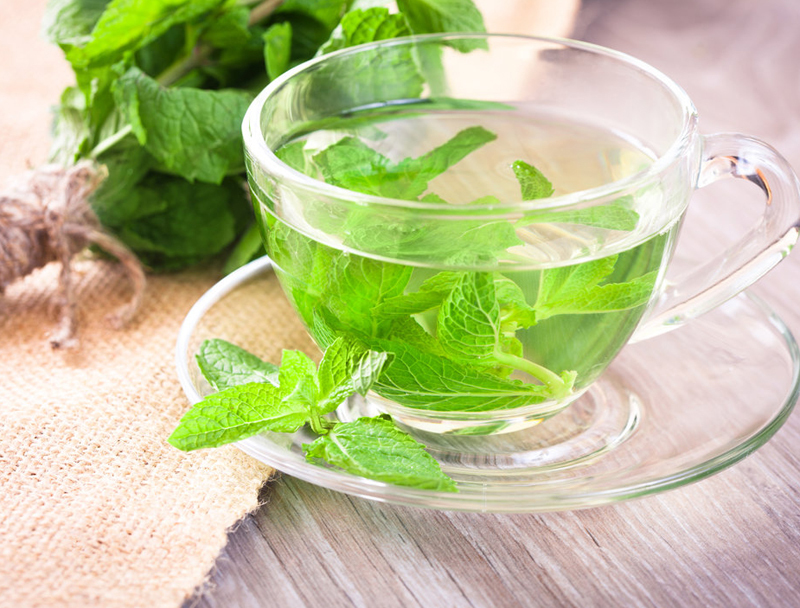 According to Adelmann, “Nervines are herbs that specifically help support the nervous system, and any of these herbs used in a tea will help calm nerves and promote general relaxation, relieving stress, and encouraging sleep." A few of her favorite nervine herbs include lemon balm and milky oat. "Lemon balm is a gentle nervine, promoting a sense of calm, and reducing nervous tension, neuromuscular spasms, and pain. The volatile oils that give lemon balm its lovely lemony aroma have a direct effect on the nervous system and trigger relaxation," Adelmann said of the effects of the herb. The way that milky oat works on the nervous system, however, is a bit different. Milky oat, she says, is "rich in B vitamins and magnesium to nourish and strengthen the nerves, soothe anxious states, mellow the mood, combat the effects of daily stress, and resolve sleeplessness." She suggests that "If you feel 'wired and tired,' turn to milky oat to restore your frazzled nervous system. It has deep, sustaining nutritive benefits." Instead, she suggests that women looking for relief form hormonal symptoms try sage. Sage is a common garden herb, and Adelmann says it “offers support to women experiencing hormone-related changes associated with perimenopause and menopause, including changes in libido, vaginal dryness, hot flashes, and night sweats, as well as more mental and emotional symptoms of brain fog and depression." And science backs the benefits of sage for menopause. She adds, "In a 2011 clinical trial, the number and severity of hot flashes per day significantly decreased in [menopausal] women given sage extract." Sweet relief! Another herbal tea that can can be helpful for hormone-related issues is red clover tea. Adelmann praises the herb, saying, "Red clover is a favorite during menopause, known to ease symptoms such as hot flashes, mood swings, and night sweats. [It's] high in minerals (we can all benefit from that!) and constituents called isoflavones, which appear to bind with estrogen receptor sites and allow for modulation of estrogen. So, if estrogen is too high in the body, isoflavones can have a lowering effect. If there is not enough estrogen in the body, as is often the case during the menopausal years, isoflavones can help boost levels." And there are many green tea blends out there for you to try, like this one from Yogi Tea ($23.88 for six boxes, Amazon). 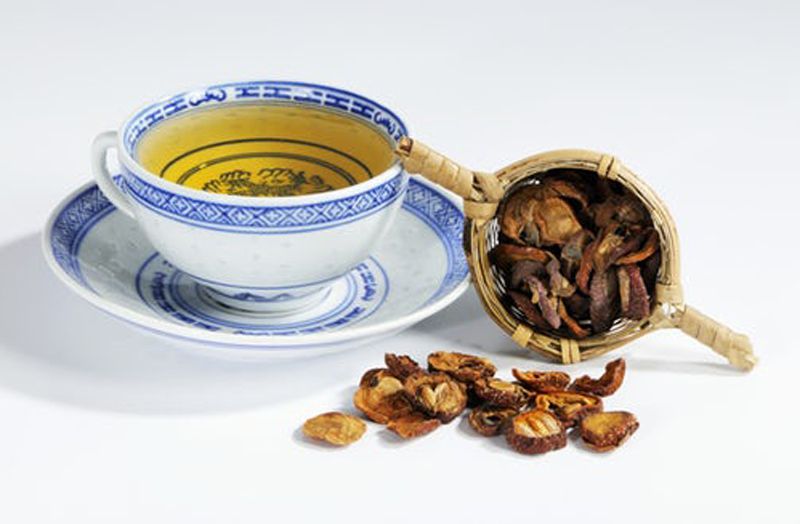 Heart health is another area we must be vigilant about after a certain age, and luckily, there are many teas which we can incorporate into our diets to promote a well-functioning cardiovascular system and healthy cholesterol levels. 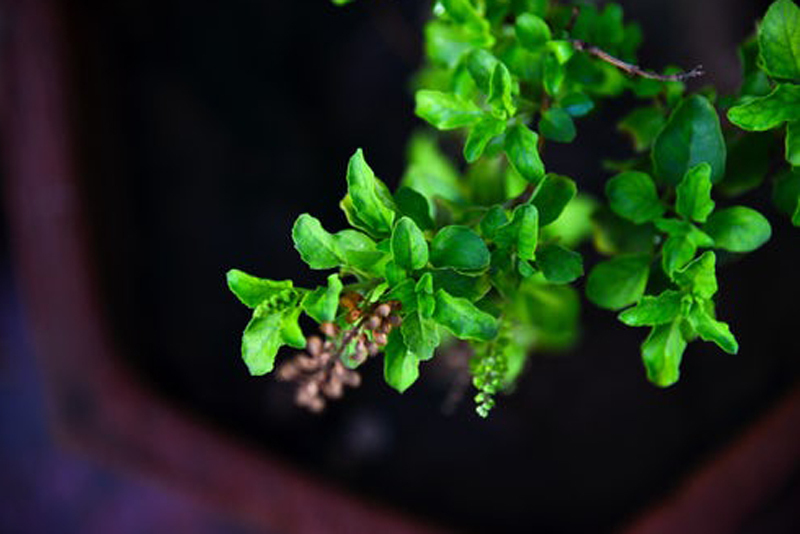 Adelmann suggests that Hawthorn is one of the best herbs that can be made into a tea for heart health, claiming that "hawthorn is the go-to herb for any heart-related condition, including helping to heal the heart following a heart attack and calming hypertension. Hawthorn extract is believed to increase the strength of heart muscle contractions, and has a mild cholesterol-lowering and arterial plaque-preventing effect." But how exactly does it work? Adelmann continues, explaining that "hawthorn appears to work by improving the mechanics of the heart, dilating coronary arteries, and inhibiting enzymes that cause vasoconstriction. These actions make it useful in early congestive heart failure. Hawthorn is also high in flavonoids, known to reduce inflammation in the body, something we definitely want to tame in order to keep our heart safe from disease!" For a premade hawthorn tea blend, try these pre-made tea bags from Alvita ($7.49, Amazon). When it comes to controlling cholesterol levels, Adelmann has a few other suggestions as well. "For support with high cholesterol, I love green tea, hawthorn tea, and holy basil tea." And holy basil, according to Adelmann, has even more benefits beyond regulating cholesterol. Diabetes is a major health concern in the United States today, so it becomes increasingly important to pay attention to our blood sugar levels as we age. Holy basil, also known as "tulsi," is one of the best herbs for blood sugar according to many herbalists. Adelmann agrees, claiming that "holy basil is a delicious tea herb related to the basil that we use in pesto and spaghetti sauce. It is commonly used to regulate blood sugar in folks with type 2 diabetes, as well as modulate cholesterol levels. 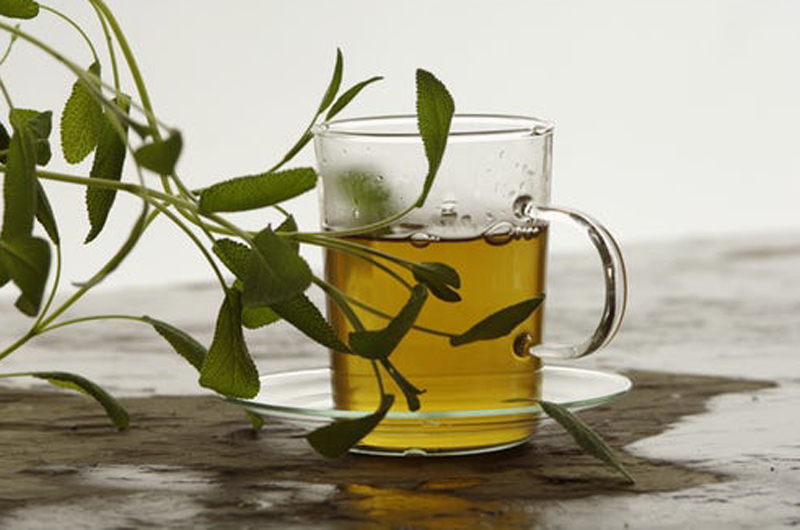 The saponins and flavonoids that are in holy basil leaves may also ease aches and pains due to inflammation, so there is a lot of benefit to drinking this yummy tea!"